Property damage, large or small, has always been a stressful one for homeowners. 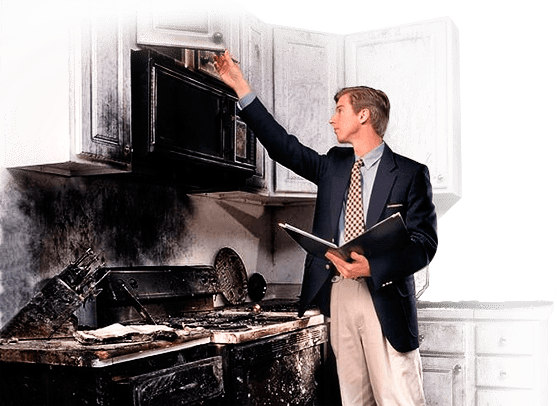 In addition to the stress of the damage incurred, there is the trouble of with your insurance company adjuster, which can make the stress even more difficult. In most cases, especially with larger claims, it’s a good idea to consider the services of a public insurance adjuster. A skilled public insurance adjuster makes sure that your property damage claim does not end up becoming critical or uncertain. 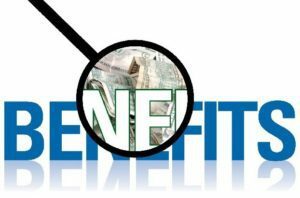 Moreover, they also take the effort to provide a concise explanation of what your policy covers and what you truly deserve as compensation. They also use detailed research and documentation of the damage incurred to your property. This will help for a more accurate estimation of your damages. To get a fair settlement, you need to know your rights. A public insurance adjuster can help make sure of that. In case you don’t know what you need and how to ask for it, you may get overwhelmed by the sheer amount of information requested or provided and surrender what you are owed too easily. Not even your public insurance adjuster knows the turnout of your claim settlement before the negotiations begin. No one can anticipate to what length either party will give into each other’s demands. Experience and knowledge usually become the negotiating power which results in a closed claim file. As the claim is investigated, the facts always rise to the surface. Claims negotiation should always be approached from a position of knowledge and strength which is exactly what a public insurance adjuster brings to the table. You can’t afford to negotiate from a position of weakness because you will lose before you even begin. Insurance company adjusters facing an experienced public insurance adjuster are held to a higher standard. It results in a more cooperative give or take. With this being the case, there is a strong probability that each party will go all-out to accomplish their common goals and achieve a fair settlement to all parties. The average homeowner ends up dealing with one claim at a time following an incident. The physical stress leaves most people in a state of confusion. Which means that they do not measure up under such circumstances. It’s normal to see people in a state of confusion, shock, and helplessness after a large loss like fire damage. A professional and experienced public insurance adjuster is required not to be emotionally attached to this situation. They are used to going into the claims negotiation with a level head and maximum competency. Take comfort in the clear knowledge that a public insurance adjuster is there to protect your interest even if the unthinkable happens. A public insurance adjuster is not a lawyer or an attorney, though an attorney can be a public insurance adjuster. The public insurance adjuster is a trained negotiator in how to estimate a property loss claim and insurance contract. However, since they are not lawyers, their fees are relatively lower. Public Insurance Adjusters Are On Your Side: The insurance company will send insurance adjusters that work for them who have the company’s best interest at heart. Unlike the insurance adjuster, public insurance adjusters work with your interest in mind. Public Insurance Adjusters Save Time: By employing the skill of a licensed public insurance adjuster, policyholders can look forward to settling issues without any hassles. You won’t need to deal with the demands for information and documents from your insurance company. Your skilled public insurance adjuster will ensure that all that is taken care of, by organizing and managing your claim. In the process decreasing the time of handling claims issues. Public Insurance Adjusters Deliver Expert Claim Processing: Insurance policies can be difficult to comprehend, and without adequate knowledge, it can be easily misinterpreted, and in the process, you may give out the wrong information. However, with the help of a professional adjuster by your side the whole process of settling a claim becomes easier (for you at least). From professional supervision for processing your claim right to documenting all the information. Your adjuster will make sure it’s an easier ride for you. Public Insurance Adjusters Offer Prompt Claim Resolution: This is another top advantage of hiring a public insurance adjuster. From establishing your claim, processing the paperwork, to negotiating with your insurance company, an adjuster takes care of it all. Hence, paving the way for fast claim resolution. When it comes to settling claims, seeking the advice of a skilled public insurance adjuster is highly recommended. This ensures you won’t lose more than just your damaged property. Public Insurance Adjusters Protects Your Rights: Being a policyholder, you have some rights that should be preserved or protected. This is where it becomes paramount to employ the services of a public insurance adjuster. They can best value your claims by having the knowledge of what is expected of you by the insurance company. As a matter of fact, having professional help at your fingertips can help you protect the rights at best. Public Insurance Adjusters Ensure Fair Claims Value: In addition to all the benefits mentioned, a skilled public insurance adjuster will ensure a fair claim value. With all these benefits combined, you can acknowledge the importance of hiring not just any insurance adjuster, but a skilled public insurance adjuster. Hiring a public insurance adjuster, that solely represents your interests, is seen to be a practical approach, as well as a good financial approach. Many people ask, “Are public adjusters worth it?” See for yourself how this United States Marine from Jacksonville, NC had her fire damage claim increased by over 134% by using our public adjusting services.